This will be my family’s 5th debt-free Christmas which means we’ll be purchasing EVERYTHING in cash – no credit cards. Doing Christmas this way has been such a blessing to our family because we don’t have worry come January how we’re going to afford to pay for Christmas after Christmas has already happened! 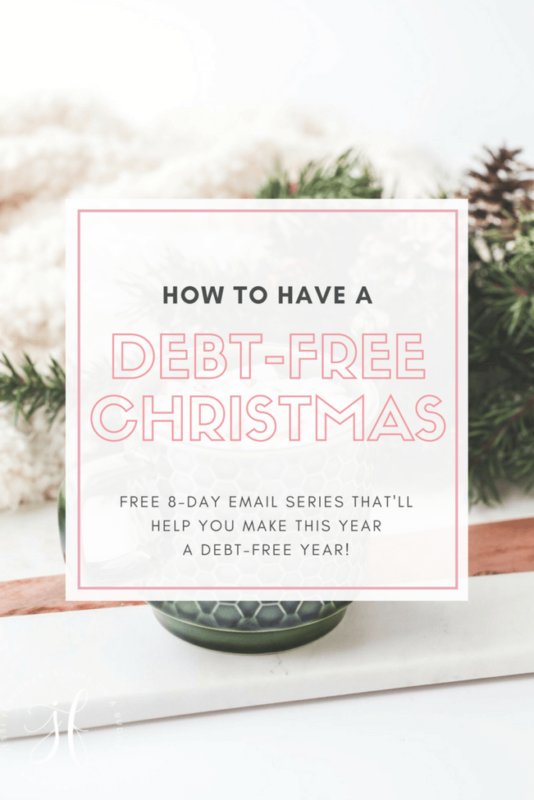 So if you’re wondering how to have a debt-free Christmas, I’d love to show you how! Making a debt-free Christmas happen doesn’t happen overnight. In fact, it takes a lot of planning to make a successful, completely debt-free Christmas happen which is why you should start planning and working towards a debt-free Christmas RIGHT NOW. Don’t wait until it’s closer to Christmas to start – it’s time to start now. 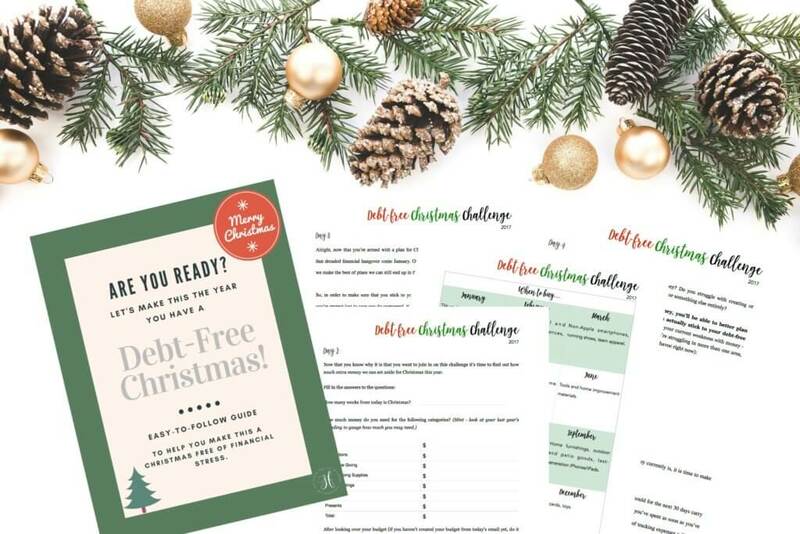 If you’re ready to take on the challenge of having a 100% debt-free Christmas, join the challenge today and let’s get started! This 8-day series will equip you with the motivation, mindset, and practical advice to make a debt-free Christmas happen! 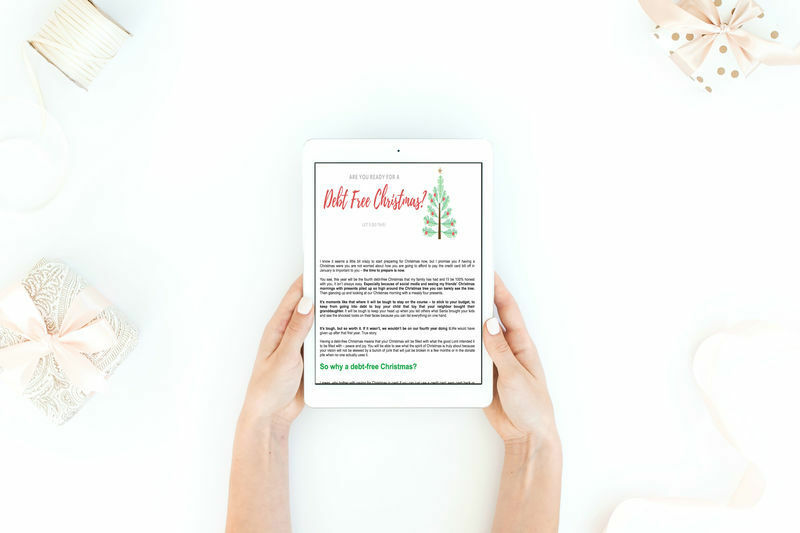 Seriously, if you want to enjoy the benefits of not having to worry about how you’re going to afford to pay off those credit card balances in January, then join the debt-free Christmas challenge today so you can get started on your path to success! There truly is no greater blessing than to feel financial security on Christmas morning – to know that every gift is already bought and paid for with money you planned to use ahead of time. Stop wondering how to have a debt-free Christmas and start making it happen today – well before Christmas! Do you want to make this year the one that you have a completely debt-free Christmas? You can make it happen and this 8-day challenge will help guide you to making it happen!